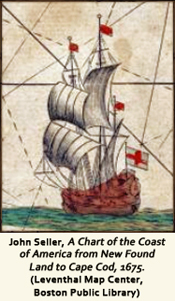 "Cape Cod is the bared and bended arm of Massachusetts: the shoulder is at Buzzard's Bay; the elbow, or crazy-bone, at Cape Mallebarre; the wrist at Truro; and the sandy fist at Provincetown, — behind which the State stands on her guard, with her back to the Green Mountains, and her feet planted on the floor of the ocean." 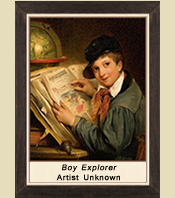 Visit the Cape Cod Museum of Natural History. "Wishing to get a better view than I had yet had of the ocean, which, we are told, covers more than two thirds of the globe, but of which a man who lives a few miles inland may never see any trace...I have spent, in all, about three weeks on the Cape; walked from Eastham to Provincetown twice on the Atlantic side, and once on the Bay side also...but having come so fresh to the sea, I have got but little salted." —H. 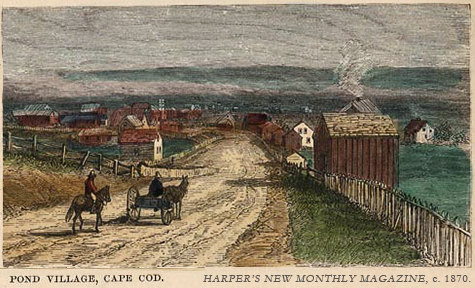 D. Thoreau, Cape Cod (Boston: Ticknor and Fields, 1866),1. 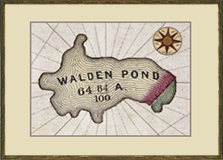 View larger versions of this and other maps made by Thoreau at the Concord Free Public Library. 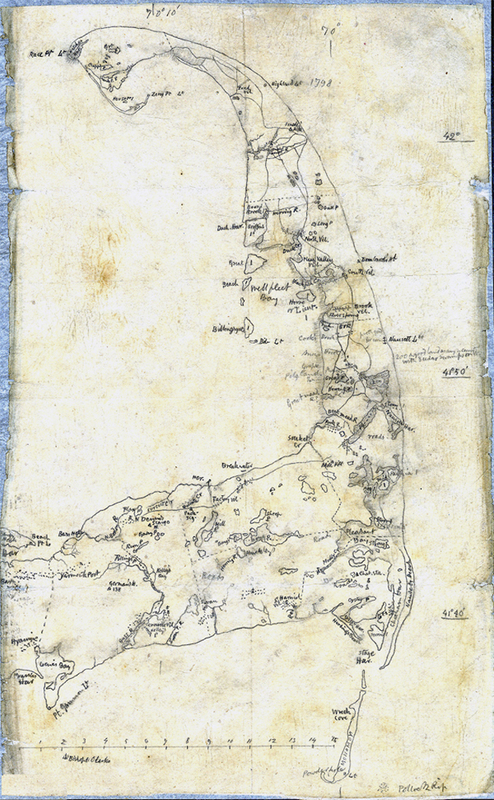 Learn more about Thoreau's visits to Truro, Wellfleet, and Provincetown.